The Kray twins were Britain's most notorious gangsters. Ruling London's underworld for more than a decade, as gang lords they were among the most powerful and feared men in the city. Photographed by David Bailey and even interviewed for television, they became celebrities in their own right and are infamous to this day. Ronnie and Reg's reign of terror ended on 8 March 1969 when they were sentenced to life with the recommendation that they serve at least thirty years. Ronnie ended his days in Broadmoor - his raging insanity only controlled by massive doses of drugs. Reg served almost three decades in some of Britain's toughest jails before being released on compassionate grounds in August 2000. He died of cancer eight months later. 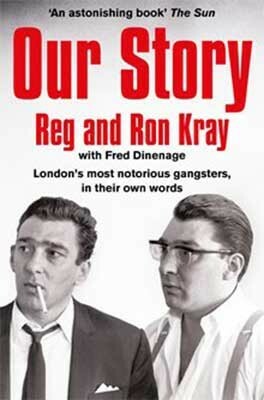 Compiled from a series of interviews with Fred Dinenage from behind prison walls, Our Story is the classic account that explodes the myths surrounding the Kray twins. In it, the twins set the record straight. In their own words they tell the full story of their brutal career of crime and their years behind bars. With a new introduction from Fred Dinenage, this compelling, disturbing and highly readable book is the definitive story of two legendary criminals.